This highly comfortable apartment in a farmhouse is located in a rural area. It is the perfect holiday destination at which to relax. 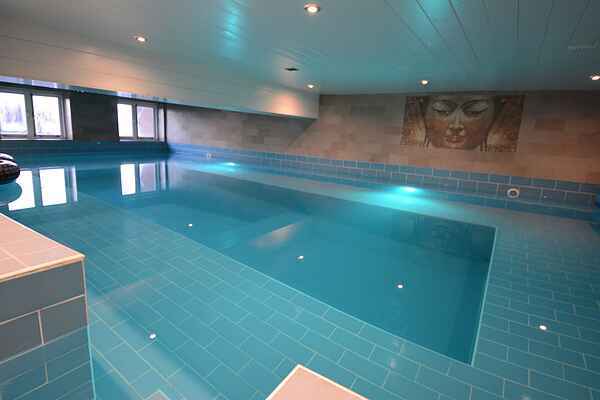 You can use the wellness facilities such as the swimming pool, sauna and fitness centre at the farm. It's wonderful to relax here after a day of sightseeing. You can also enjoy a summer evening with the barbecue in the garden. Use the farmhouse as your base for taking wonderful hiking and cycling trips through the rural landscape. The beach can be found about 15 km away. The city of Schagen is 5 km away and boasts a lovely market every Thursday. A West Frisian market also takes place here during high season. Tuitjenhorn, featuring a zoo, kid's swimming pool and the Holle Bolle Tree play area is about 12 km away. The towns of Medemblik, Enkhuizen and Hoorn are great for a visit.